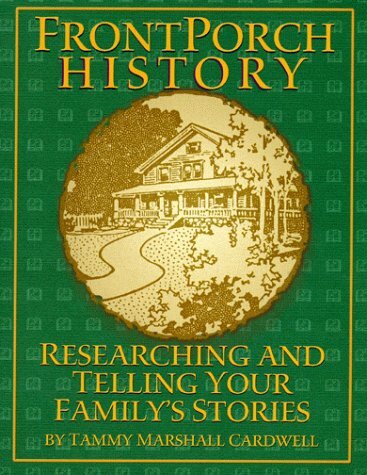 Greenleaf Press is pleased to publish this friendly, stimulating guide to genealogical research. The author shares the important lessons (and practical tips) she learned researching her own family’s heritage. This book will walk you through each step the author took in collecting and sharing her family’s stories. It will take you even further as she talks about things she has learned through the publication of a "family book." Tammy Cardwell is a self-confessed bibliophile and eclectic personality. She is a wife and the mother of two young men. Her interests and tastes may shift without warning, but two things never change - her love of her family and her appreciation of her heritage. Among her greatest passions, these led her to collect her family stories for her sons' benefit and then to share those stories with others when she realized how many of her relatives would appreciate the gift. Writing and sharing are two of Tammy's favorite occupations. She is currently doing both as she co-edits The Eclectic Homeschool Online and its print version sister, The Eclectic Homeschool.